NEW FROM SRINAGAR: Today on 30th Aug. 2018 NIA (National Investigation Agency ) which is searching for the suspected overseas funding of the terrorists and protesters in J&K (Jammu and Kashmir), has arrested the son of Hizbul Mujahideen chief Syed Salahuddin from Srinagar. 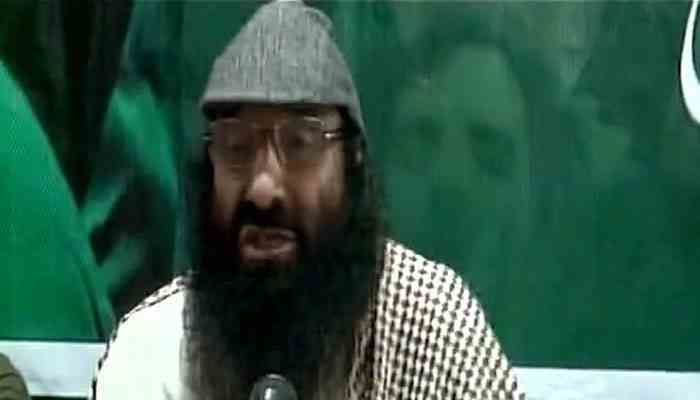 According to ANI reports Salahuddin's son Shakeel was taken in custody by the NIA officials from his Rambagh residence early in the morning. Shakeel has been working as a senior Lab technician in SKIMS Soura and is the 2nd son of the Hizbul Chief. At the same time J&K is restricted to prevent the protests made by the separatists in the support of Article 35A.The area under restriction are Nowhatta, Khanyar, Rainawari, MR Gunj and Safa Kadal police stations while partial restrictions will remain in force in areas under Kralkhud and Maisuma police stations on Thursday as well as on Friday. "These restrictions are mainly imposed to maintain law and order as said by the J&K Police in their statement. These recreation are not permanent as well these are preventive in nature and main moto is to maintain peace in the State. A bunch of pretention in the Supreme court has been challenged against this article 35A. The case will be heard on Friday in front of three Judge bench of the APEX court. For Two days the Railway services between the town of Baramulla and Bannihal has also been remain closed. The University of Kashmir has also postponed all the Entrance examination for the admission to the various courses which has to be held on Thursday and Friday. Police and Paramilitary forces of India are covering all areas which are restricted by the court and Police Department in a huge Number.